For a special occasion such as Christmas or an anniversary, I like to serve Beef Wellington. 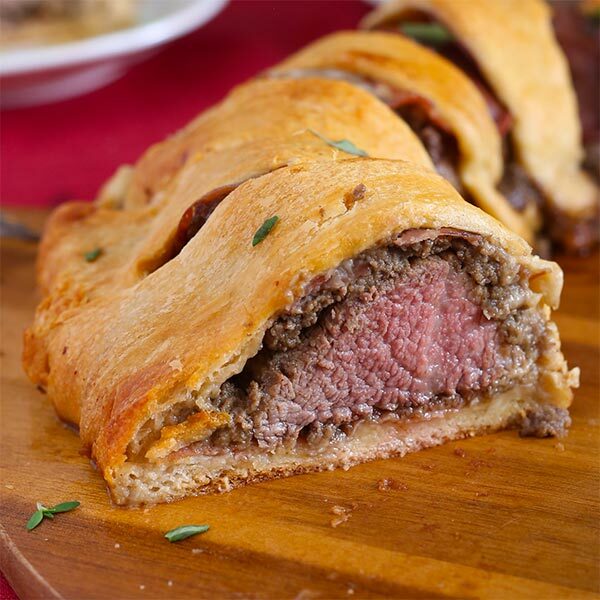 It’s basically seared beef tenderloin covered with Prosciuttoand smothered with a black sautéed mushroom paste, called Duxelles, with an outer layer of golden puff pastry wrap. It’s quite a chore to make so I’ve come up with an easier version inspired by the beautiful prime-grade tri tip found at Costo in Southern California. If you cannot find prime grade tri tip, you can also use Choice grade. For those who are not so familiar with tri-tip, it's called Butchers Cut in other parts of the country as the butcher saves these choice cuts for his or her family. They are usually ground into burgers but in California, they are enjoyed like a rare steak. For the pastry wrap, who has time to make puff pastry so I used two cans of frozen crescent rolls. 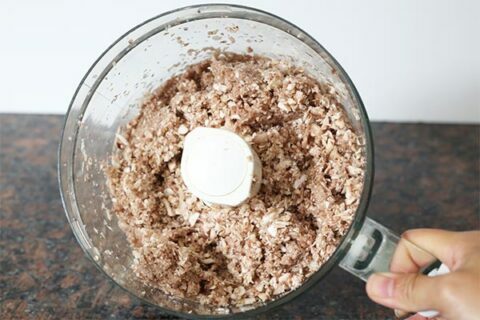 Try my easy recipe and impress your family and friends this holiday season. 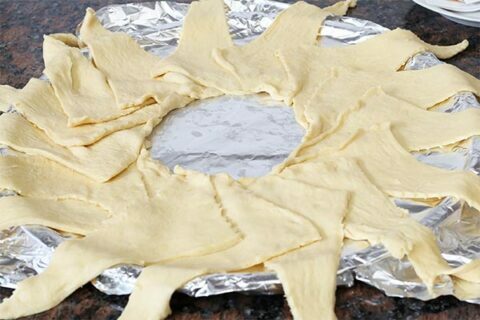 Unroll crescent dough and separate into 16 triangles. 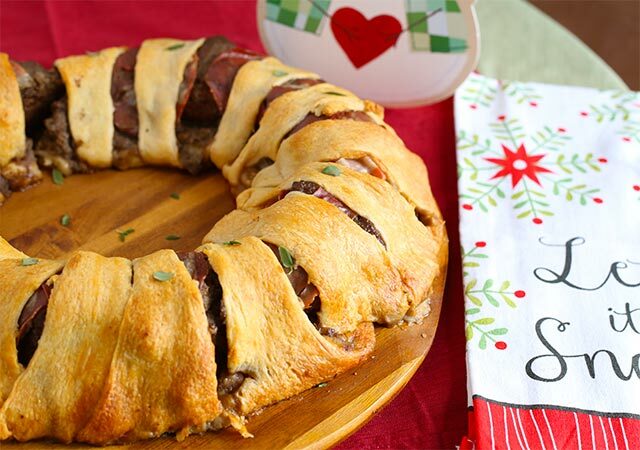 Spray some non-stick coating on a baking sheet before arranging the crescent dough into a 12-inch circle. TIP - I foil-covered my baking sheet first to aid cleanup. The short sides of the crescent triangles should overlap in the center with the points of triangles pointing away from the center. Leave a 5-inch-diameter opening in center of circle. 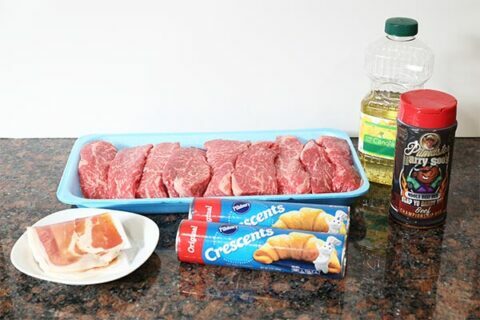 Arrange the slices of Prosciutto on the crescent rolls and apply a layer of mushroom paste. 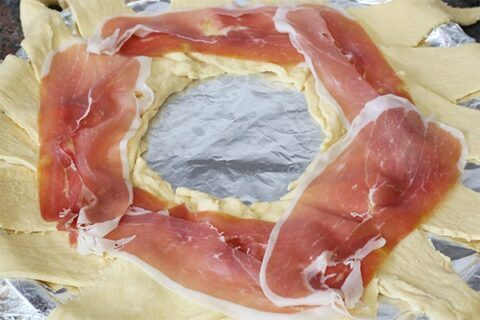 Be sure to taste your brand of Prosciutto first and use less if it's very salty. 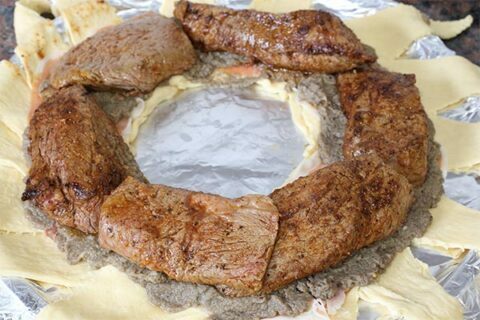 Place your seared tri tip into the crescent dough circle. Cover the tri tip with more mushroom paste and cover with remaining Prosciutto. 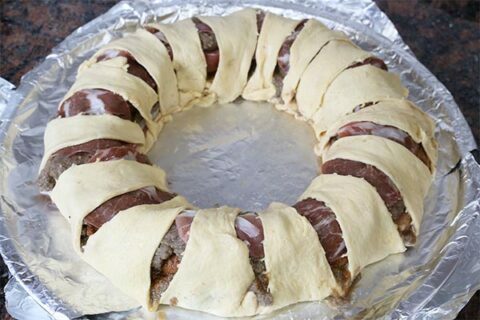 You should have the beef in the center, mushroom paste as next layer, and the Prosciutto as the outer layer. Bring outside points of triangles up over the filling, then tuck under dough in center of ring to cover filling. Bake 35 to 40 min in 350F oven or Kettle grill until crust is golden brown and filling is heated through. Enjoy!!! Looks and sounds like a pretty good and easy recipe I may be trying real soon here thanks again for all your help!